I have a wonderful recipe, simple and really delicious, that I want to share with all of you! But, before I get into the recipe, I need to tell you how I tasted a mushroom for the first time in my life. My father was a genius when it came to find our friends where ever they were during that time of upheaval in Europe. He found friends from our village in Croatia living an hour’s train ride away from Kapfenberg. They lived in a small town called Wildon in an abandoned castle. There were several families who settled there. In order to survive they quickly started a vegetable garden and every spring and all through the summer and fall, they had more vegetables than they could eat. They invited us to come and visit them often. We went on weekends to see them and always brought back bags full of vegetables that my mother cooked and used to supplement the meals we received from the camp’s kitchen. On one of these days visiting our friends we experienced a huge storm. I was playing with all the other children in the castle’s park. We were running around on this hot and humid summer afternoon. Suddenly the storm broke loose, there was thunder and lightning, the rain started pouring and drenched us to the bone. We did not care about being wet; it was fun running around in the rain. While we were all screaming with delight a fog lifted from the ground and made us all look like fairies dancing on clouds. Then the most magical thing happened! 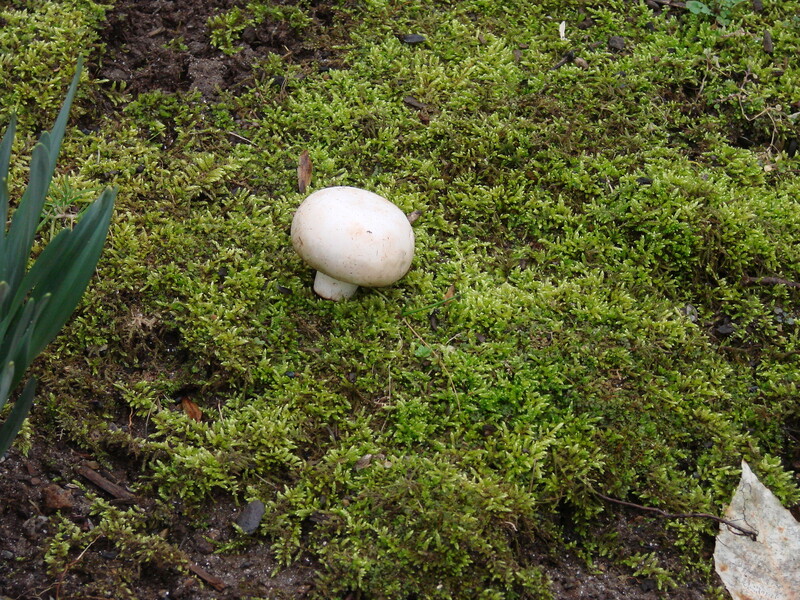 I looked and saw little white buttons popping out of the ground around us, they were everywhere! It was the most magical experience; I gathered up a few of these white little wonders while we heard our mothers calling to come inside. When we all piled into the kitchen one of the mothers asked me to give her the mushrooms; she called them “Champignon.” There was a very large wood burning stove in the kitchen and it was hot and had a pot of something cooking on it. She took one of the Champignon and cut it in half and placed it directly onto the hot stove. Immediately the earthy aroma of the mushroom permeated the kitchen. She turned it over to cook the other side and when it was slightly browned she salted it, blew on it to cool it, and gave me half to taste. I remember not liking it at first, however I liked the salt on it. Chewing it was another new experience since it was soft, yet rubbery. I was not quite sure what to make of it and did not accept another piece. Later in life I learned to like mushrooms and now I enjoy them in all kinds of ways. My favorite however is a “creamed mushroom soup” and this is what I am going to share with you today. Use a mixture of different mushrooms for better flavor. 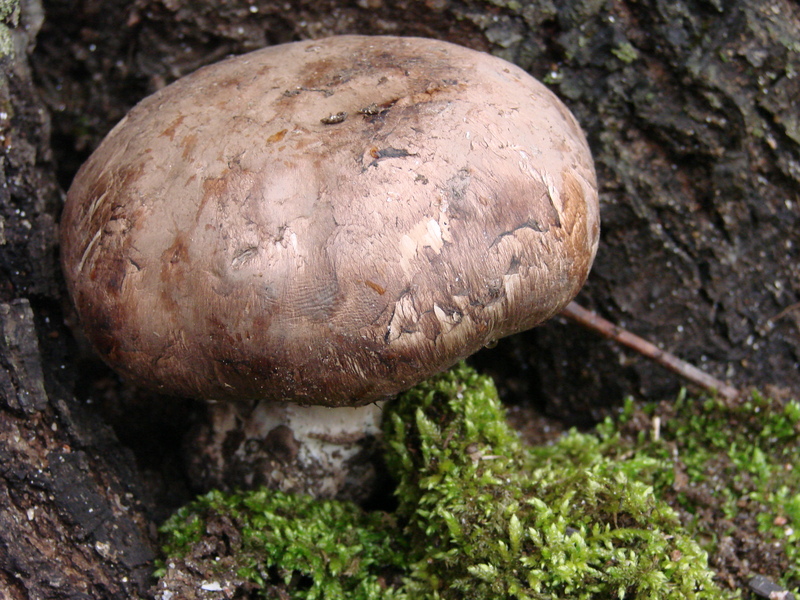 To clean the mushrooms brush them with a vege table brush or a damp paper towel. 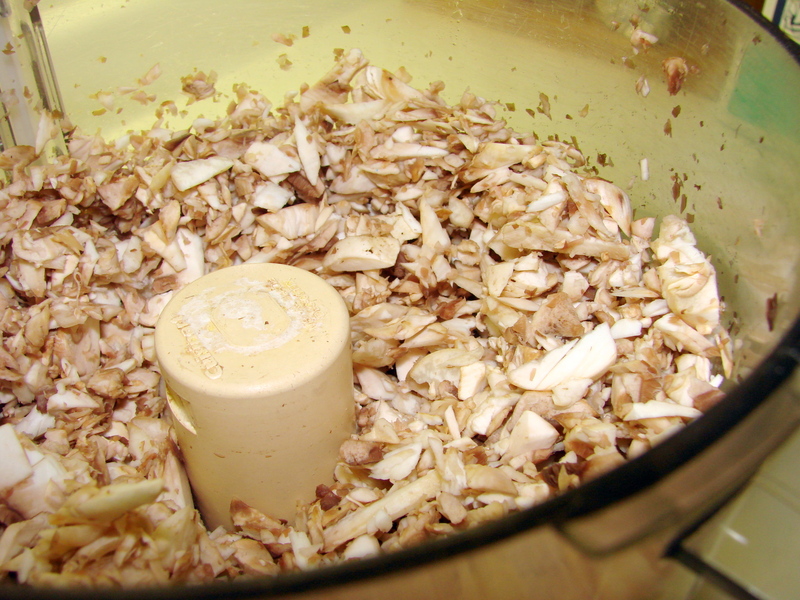 To coarsely chop the mushrooms I process them in a food processor with quick, short on/off turns. 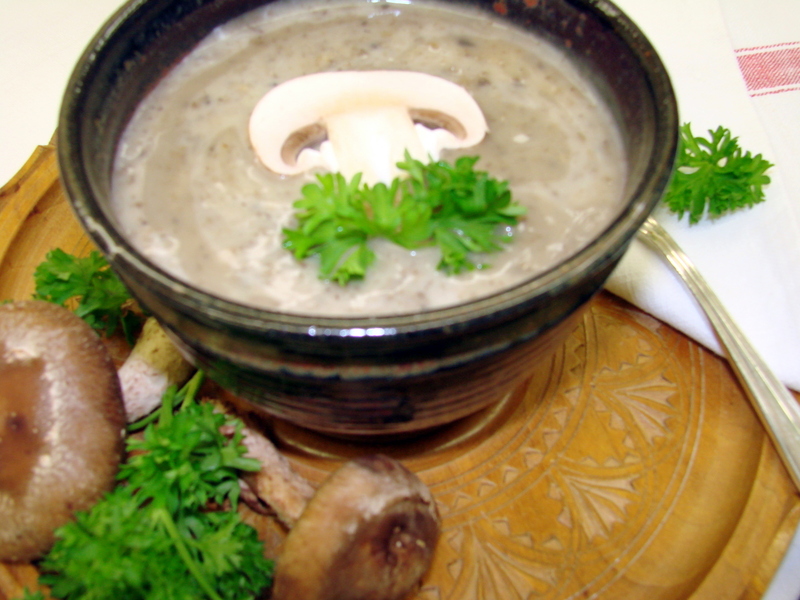 Transfer the chopped mushrooms into a large soup pot and add the home-made chicken or beef stock. Heat the mixture to boil and cook the soup for about 30 minutes while stirring occasionally. 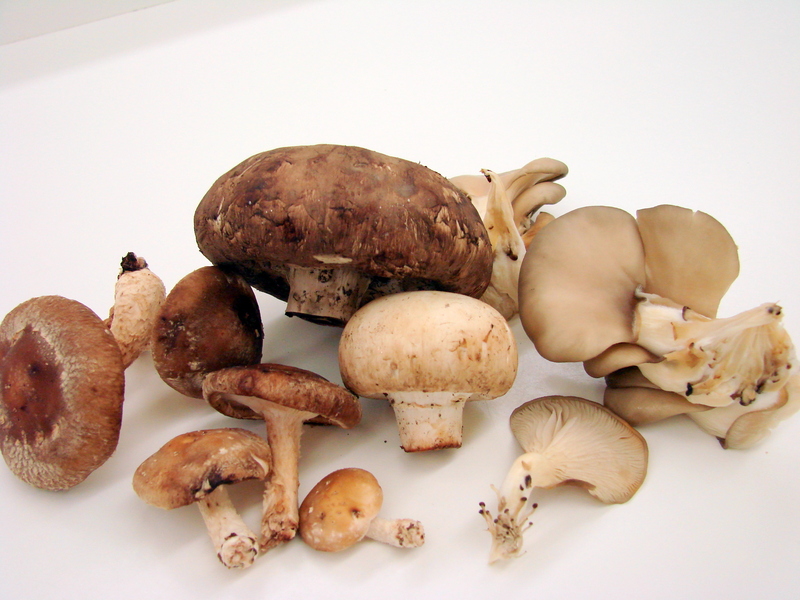 *Make your own mushroom powder by processing dried Shiitake mushrooms in a food mill. This mushroom powder keeps well in a glass jar in my refrigerator, and I use it with several meat sauces. 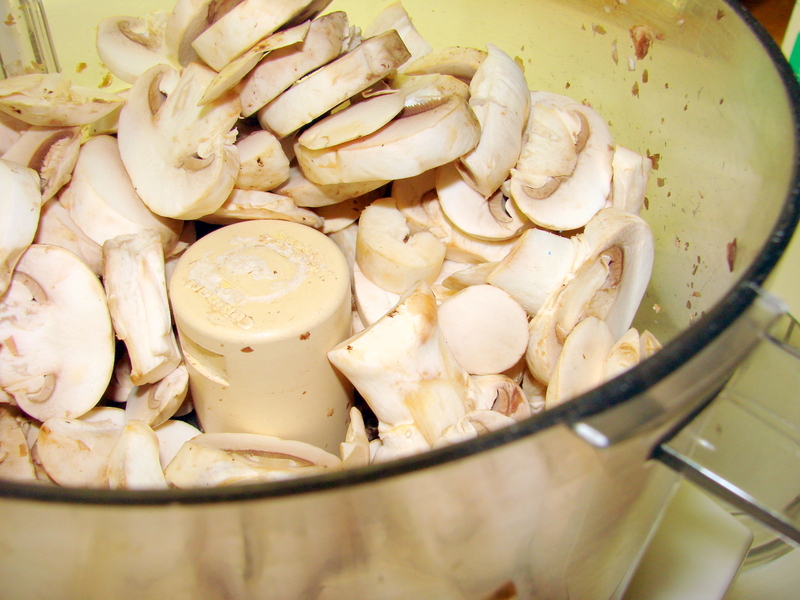 Add 1 tsp of the mushroom powder or more if desired to the soup and flavor it with the chicken bullion granules. 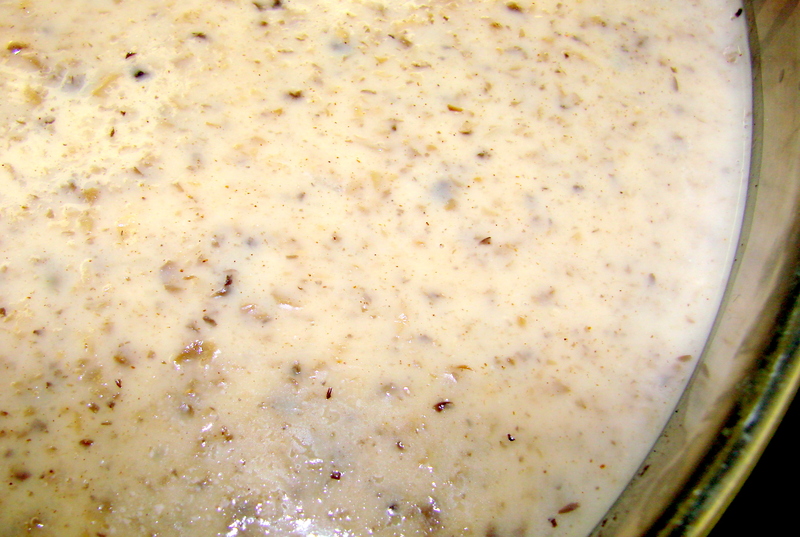 Mix the starch in the cold whole milk and add it slowly to the boiling soup, by stirring the soup continuously. The starch is cooked when the soup takes on a shiny sheen. When tasting the soup you should not feel the graininess of the starch in your mouth, and the soup will be quite thick. Remove the soup from the heat and add the two cups of heavy cream. Gently mix the cream into it and you are ready to serve a lovely soup to your family or guests.